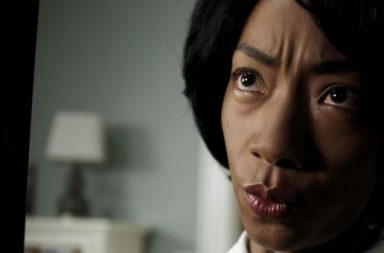 Jordan Peele‘s directorial debut, Get Out made history earlier this year when just three weeks after its release, it made over $100 million domestically, making Peele the first black writer-director to achieve this with a debut movie. The history-making horror gave birth to countless videos and memes, with fans flipping the movies’ ominous warnings and turned them into hilarious sketches on their social media pages, with several going viral. Today, Get Out is trending again, but not for the reasons that many of us would hope. Twitter is reacting to Entertainment Weekly‘s report that Peele’s horror-satire is to be submitted as a comedy-musical at the upcoming Golden Globe Awards. Despite the explanation, Twitter is not happy. Not one bit! Get Out competing in the Golden Globes as a "Comedy" is a slap in the face to black people everywhere and a clear indicator that those in charge of these awarding institutions are completely clueless when it comes to the matter of racism. But others understand Universal‘s motive for submitting the movie into this category and are by the backlash. As @TheLoveBel0w tweeted. Get Out's creators along with the studio SUBMITTED the film under comedy to give it a better chance to win since the Golden Globes have no horror category but rather DRAMA or COMEDY/MUSICAL. Pls read up on these things b4 getting outraged for no reason. Gonna go ahead and say it, had Universal submitted Get Out for drama at the Golden Globes, it wouldn’t receive a nomination (that category is stacked this year) and Twitter would be mad about something else.